Today’s edition contains stories about the Palmarian Catholic Church, how easily people get radicalised, and what IS jihadists have in mind for Europe’s cities. Also: tongue-in-cheek, How do Operating Thetans get in touch with eachother? 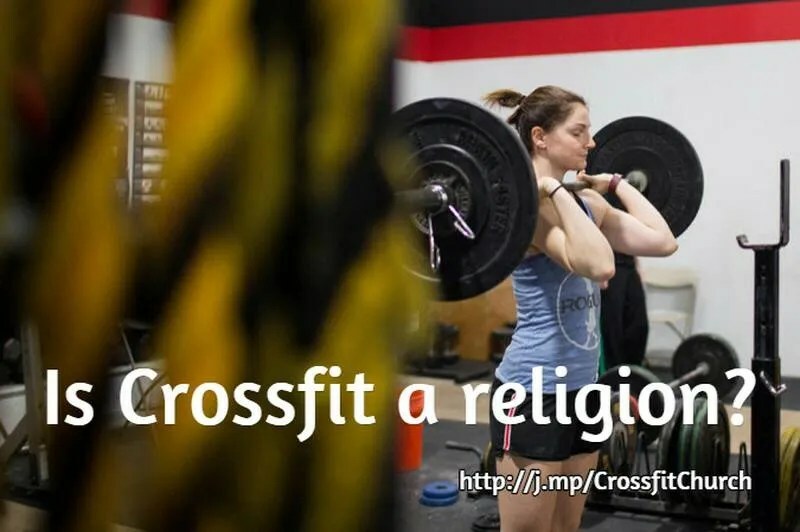 And is Crossfit a religion? Finally: Religion News Blog’s new design. The Palmarian Catholic Church, a secretive Spanish cult is in the news. Mr Garde said there have been many examples of Irish people adjoined to the Palmarians selling their homes, or leaving their property to the group in their wills, with proceeds going to the ‘church’ which has its headquarters in the remote Spanish town of Palmar de Troya, where it has a lavish basilica behind high walls. This website provides information and support to those affected by Palmar de Troya / Palmarian Church cult. Earlier this month the New Zealand Herald published an article about Maria Hall, who was a nun in the Palmarian Catholic Church. Established in the 1970s, after four young girls claimed to have seen a holy apparition on farmland near the village of Palmar de Troya, the Palmarian church has distanced itself from Rome; it’s created its own rites, liturgies and its own bible. Ms Hall’s life within it was dominated by religious rituals, sleepless nights, punitive regimes and temperamental superiors. The daily routine was controlled by tolling bells, endlessly gruelling domestic tasks all done in the compulsory silence enforced outside of prayer or song. She slept in a tiny room, with a threadbare blanket on a wooden bed, wore ill-fitting hand-me down clothes and shoes and was cut off from friends, family and the rest of the outside world, with no television, radio, newspaper or telephone. When her father and sister did one day make the trip across the world to visit her, she was only allowed to see them only twice in her ten minute breaks. “Many years later she [my sister] told me that she felt like I had died.” Eventually this thankless commitment eroded what was left of her once unfaltering faith. She left and was cast out of the convent with nothing but a plane ticket home, some money and a shoulder bag containing her bible, writing pad and passport. At home, in New Zealand, Ms Hall had to “relearn” what it meant to be human. , described as the true story of one woman’s journey from the sweeping coastlines of New Zealand to the barren plains of Southern Spain, from youthful hope to deep despair, and from sin to reparation. If you want to dig deeper, check this research paper by Dr Magnus Lundberg of Uppsala University, Sweden. Dialogue Ireland has additional information as well. You join a self-help group, a religious movement, a political organization. They change so gradually, by the time you realize you’re entrapped – and almost everybody does – you can’t figure a safe way back out. This story in The Guardian in a case in point. Maysa, a teenager from Brussels, was a music fan and a ‘ray of sunshine’ at school. But an encounter on social media had changed her within a year. Her parents are Muslims, but not rigorous. Maysa first donned a jilbab — a long and loose-fit coat or garment worn by some Muslim women who observe the Islamic dress code — after she had put on some weight. After she posted a selfie wearing her new clothes on social media, she was contacted by another woman also in her late teens. They went shopping together, and some time later Maysa was introduced to a group of young women from a similar background to her own. 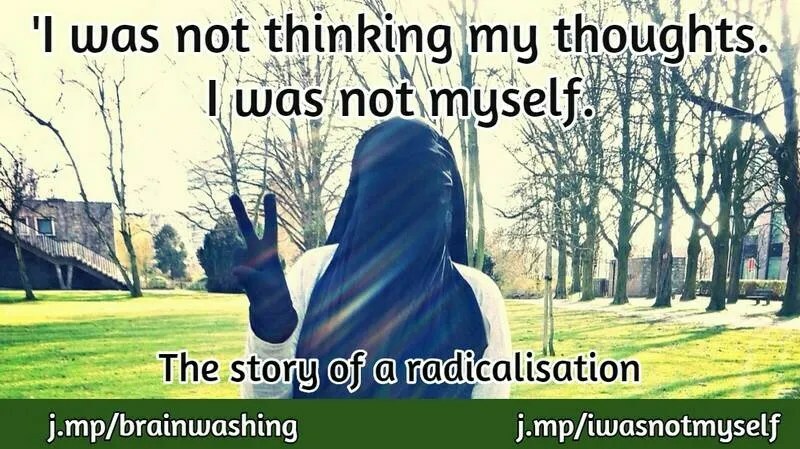 “They told me how there was no crime and no discrimination in the Islamic State. They spoke about relations between men and women, and said that I would find a good husband, even if I would be one of several of his wives. They spoke about fighting the unbelievers and the heretics, but never mentioned any violence or executions or anything like that,” Maysa says. Within weeks, her new friends provided Maysa with a cheap mobile phone with a pre-paid sim card and told her to keep it secret. It was on this phone that she was contacted, usually by text message, and told where and when the next meeting of the group would take place. Read the article, which also addresses the reason why parents and other family members usually don’t notice anything is wrong until much later. The new jihadists have our cities in their sights, German news weekly Der Spiegel says. How much do you know about Jihad? How do Operating Thetans contact each other? British film maker Louis Theroux — whose latest film is a feature length documentary entitled My Scientology Movie — used Twitter to contact John Sweeney, the BBC journalist and author know for, among other things, the Scientology and Me documentary. @louistheroux As we're both Operating Thetans, you can just walk through my living room wall, surely? Not sure what an Operating Thetan is? Operation Clambake explains what Scientology is trying to sell. It should be clear that there are no Operating Thetans. In an increasingly secular America, all sorts of activities and subcultures provide the meaning that in the past, at least as we imagine it, religious communities did. We encourage you to join 18,200+ others in following Religion News Blog’s Twitter Stream. On this website, though, we go beyond Twitters 140-characters limit. This information was curated by Anton Hein, the founder of Religion News Blog.